1998 Sea Ray 480 Sedan Bridge Meticulous care is the hallmark of this 1998 Sea Ray 480 Sedan Bridge. 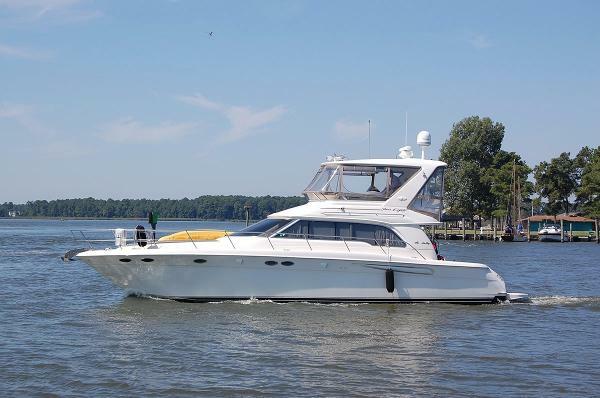 Featuring three staterooms, a cherry interior and numerous updates, this vessel needs to be on your short list. 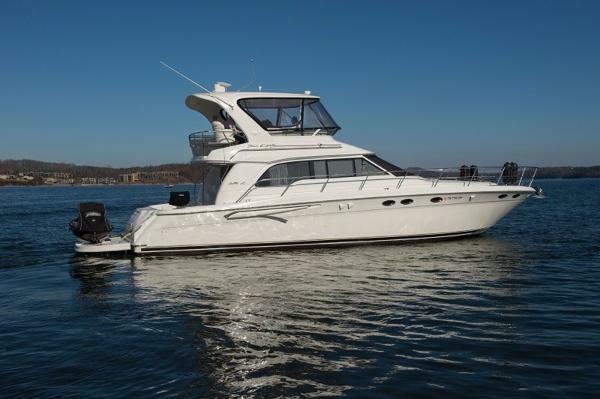 Consider the following updates: Complete three step detail, hull and topside - 2019 Fresh Bottom Paint - 2019 Props Balanced - 2019 Two new U-Line Stainless Steel Refrigerators Two new Air Conditioning Units New Cockpit and Bridge Carpet New Garmin Multi-Function Display 1000 Hour Service just Completed Please call for an appointment to see this beautiful 480 Sedan. She is located off site. 2002 Sea Ray 480 Sedan Bridge The Sea Ray 480 Sedan Bridge is a modern, well proportioned luxury yacht whose excellent performance matches her sporty styling. Built on a modifed-V hull with an integral swim platform, moderate beam and prop pockets to reduce shaft angles, the 480 Sedan Bridge boast a surprisingly large interior for a boat this size. There are two full heads and three staterooms below, two with double berths and the third with twin single berths. In the salon, an elevated port side dinette increases headroom in the VIP stateroom below. The gourmet galley of the 480 Sedan Bridge, opposite the dinette, has just about every convenience imaginable in a yacht. In the cockpit, a set of molded steps lead up to the flybridge where wraparound seating is located forward of an extremely well-designed helm console. 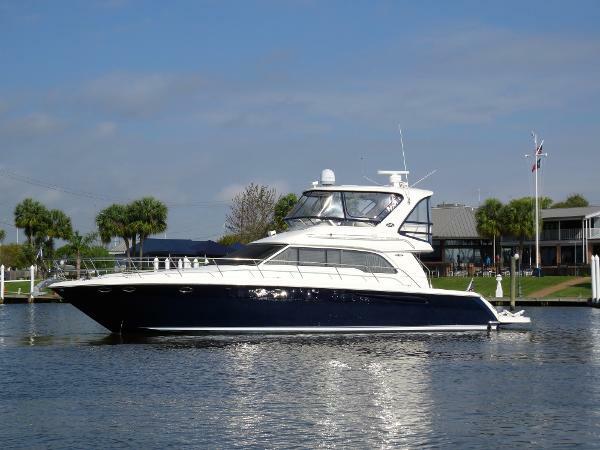 Additional features include a hydraulic swim platform, bow & stern thrusters, fender storage, custom cockpit enclosure, washer/dryer, a salon sofa that converts electrically into a double bed, and wide sidedecks. Preliminary listing! 2001 Sea Ray 480 Sedan Bridge Fresh water two owner boat with only 375 on the Caterpillar 3196's! 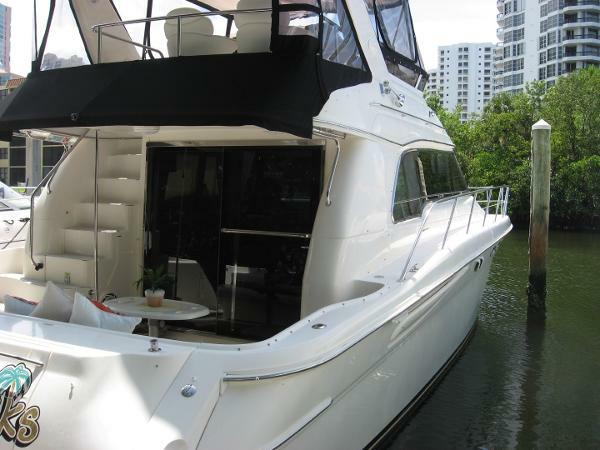 Notable options: birds eye maple, washer/dryer, flat screen TV's, TNT lift, bow thruster and EZ2CY bridge enclosure. 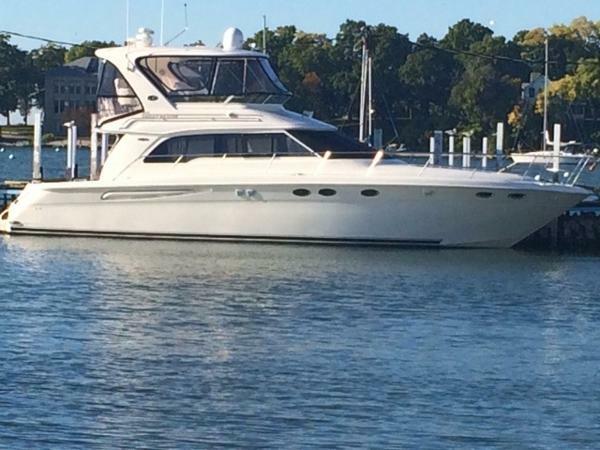 2003 Sea Ray 480 Sedan Bridge JUST REDUCED 20K! 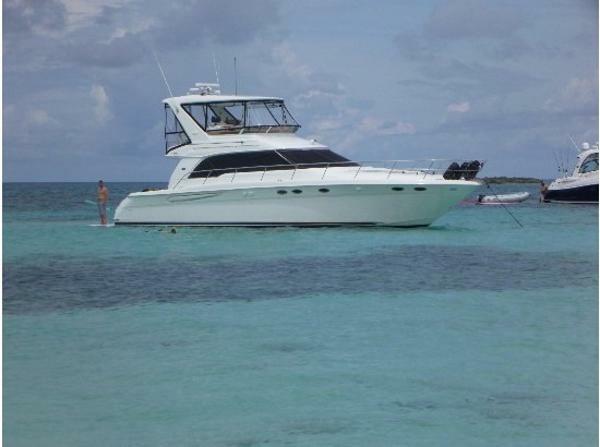 2003 48' Sea Ray Sedan Bridge -- Cummins Powered Vessel in Excellent Condition !! Loaded with Upgrades: Hydraulic Swim Platform, New Bridge Enclosure, Bridge A/C + Heat, Bow Thruster, Sat TV, EPIRB, Spare Props + Fresh bottom paint and cutlass bearings 7/16!! You will not find a Nicer, Better Equipped 48' Sedan Bridge Owner will consider smaller, quality trades!! 2000 Sea Ray 480 Sedan Bridge This is a very clean, low-hour yacht. She has three state rooms and two full heads. Lots of room and lots of windows create a beautiful open salon for entertaining. The owner just does not have enough time to enjoy her. She is in great condition and is ready to enjoy! THE OWNER JUST LOWERED THE PRICE!!!!!!! 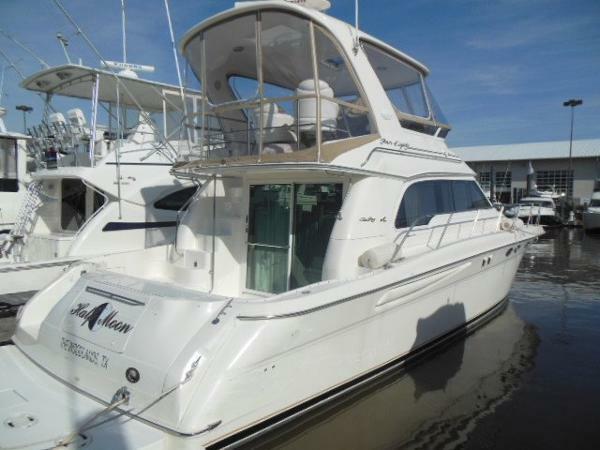 2003 Sea Ray 480 Sedan Bridge Don't miss this clean and well-equipped 480 Sedan Bridge. 3 Stateroom/2 Head accommodations with a very large interior for a boat of this size. 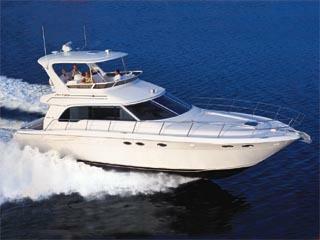 Considered one of the best Sedan Cruisers from Sea Ray. "Persian Princess II" is powered with twin 635hp Cummins QSM-11s. Immaculately well cared for and routinely maintained, both inside and out, by the same owner since 2003. Please see full photos and specs for complete details. Seller is MOTIVATED! BRING OFFERS! 2001 Sea Ray 480 Sedan Bridge 2001 Sea Ray 480 Sedan Bridge This 480DB has been in a covered slip on the TN River most of it's life. It is powered by Twin Caterpillar 3196TA with about 865 hours running time.It is equipped with a 10KW Westerbeke Generator with about 1834 hours. It is equipped with 3 Staterooms and 2 Full Heads with Showers; Washer/Dryer Combo; Large Salon with Natural Lighting and Cherry Interior Panelling; Hydraulic Swim Platform; Glendenning Cablemaster; Large Bridge with Hardtop; Bridge Air; Bridge Fridge; Bow Thruster; Full Electronics including a Garmin 5212 Plotter; Bottomn Repainted in Summer of 2016; Shown By Appointment Only, Please. PWC NOT INCLUDED!! 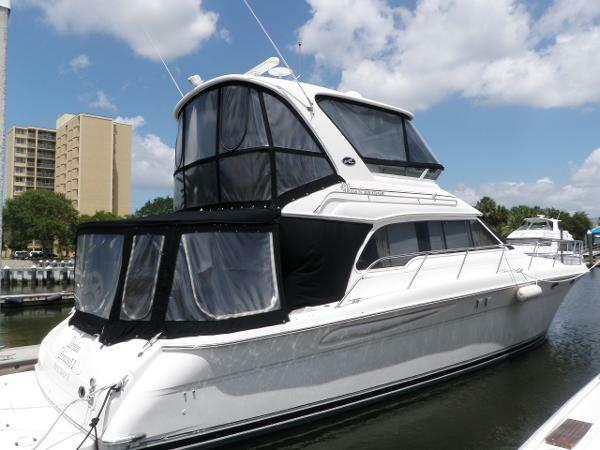 1999 Sea Ray 480 Sedan Bridge Call Travis Lambert 954-288-6992 Seriously For Sale! Make Offers! Excellent Condition, Many Updates Same Owner of 12 Years This 480 Sedan Bridge Includes the Rare Stainless Steel Window Frame and Custom Salon Sliding Door Upgrade 2016/17 Complete Service and Upgrades Documented Please email us for a complete list of recent upgrades Powered by Detroit 6V-92TA 550HP Bottom Painted Jan 2017 New A/C All Units Recently Replaced 10.0 kW Westerbeke w/3,000 hrs, rerplaced Heat exchanger, hoses & belts - (2015) Satelite TV Sea King w/ Ultra HD Wi-Fi Built-In Blu-ray Player Cockpit Remote Stereo JBL's PRV-175 marine digital media receiver built-in Bluetooth® Bose 3-2-1 Music Entertainment System WiFi Solutions Antenna System Complete Camera, DVR & Remote I Phone Monitoring System Underwater Lights All New updated LED lighting trouhout cabin and engine compartment Central Vacuum system Updated Galley w/ Maple cabinets, Wood floor Interior Carpeting Completely Replaced New Bridge Enclosure- tinted We specialize in and search for the finest and best Sea Ray Boats in South Florida. Email us to see over 100 high definition recently taken photos of this boat! 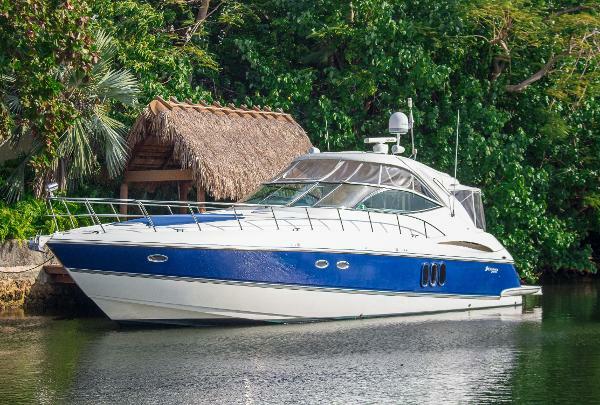 1999 Sea Ray 480 Sedan Bridge This meticulously kept 480 Sedan Bridge is one of the cleanest well maintained Sea Rays to come on the market in South Florida. Her current owners are ready to move up in size. She was just fitted with new ising glass and cockpit covers. The next owner won't need to do a thing except turn the key and go! 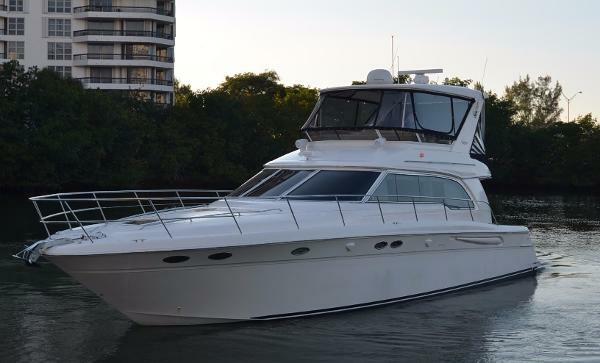 2004 Sea Ray 480 Sedan Bridge Very excited to offer this long time Sea Ray Owners 2004 48 Sedan Bridge to the market. 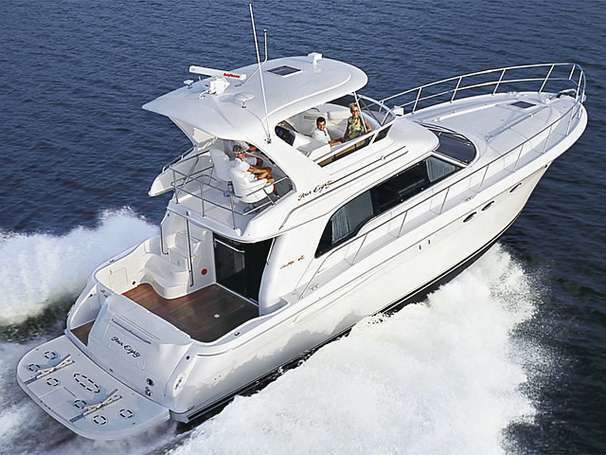 Only the best care has been given to one of Sea Ray's all time best performing Flybridge Yachts. 2004 was the last year of the 48DB, and The Cool Breeze was ordered with all of the factory options. All services are up to date, bi-annual waxing/polishing complete, she is turn key and ready to go. Updates and options include but are not limited to: UpgradeTeak cockpit Upgrade Flag Blue Hullsides Cummins QSMII 630 hours Upgrade AC/Heat Flybridge New 3 sided enclosure (2-14) New 4th side (4-17) Tender: 310 Avon Dinghy w/ 15h.p. Tohatsu Upgrade Hydraulic Swim Platform Bow Thruster Bose Lifestyle Surround Sound (salon) Engine/Gen Service/fluid changes (10/16) Bottom Job (11/15) New Bow Thruster batteries (3/16) Main engines acid washed cooling system (8/14) New Raymarine Ghartplotter DGPS New AIS transponder/receiver This is a perfect first big boat to get into, knowledgeable no expenses spared owner. Easy to see just south of Houston at Lakewood Yacht Club. Call today this yacht will not last long. 1999 Sea Ray 480 Sedan Bridge 3 Stateroom 2 Head Layout With Washer/Dryer WITH ALL NEW CARPET ON THE INTERIOR 2016 Clean Detroit Diesel Power With Westerbeke Generator on this Sea Ray 480 Sedan Bridge Sea Rays Most Popular Selling Sedan Bridge At A Great Price New Bottom Paint & Batteries Freshly Washed & Waxed & Ready for a buyer! Seller willing to take trades. 2003 Sea Ray 480 Sedan Bridge This 2003 Sea Ray 480 Sedan Bridge features T-616 hp Cummins QSM-11 engines. 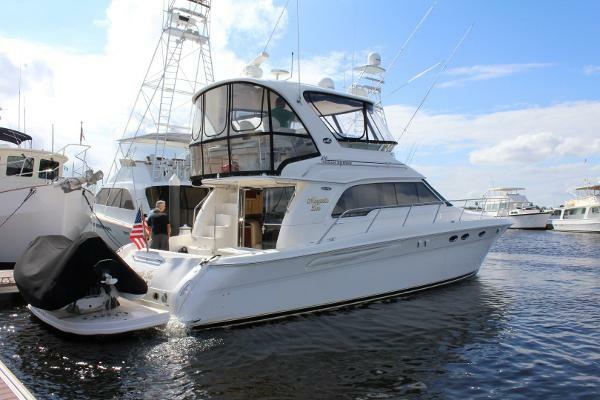 The interior of the boat includes three private staterooms, two full heads, two entertainment centers, and sleeping accommodations for many people. 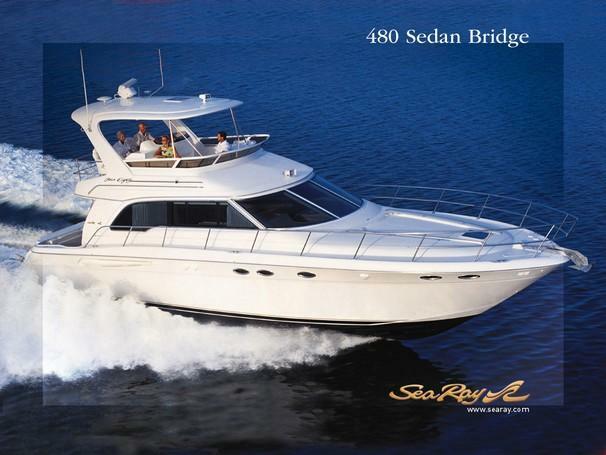 Fit with numerous upgrades and owned by a seasoned boater, this Sea Ray 480 Sedan Bridge has been well cared-for.